Confession time, I adore everything about schoolboy blazers, from their fit and fabric to their little gold buttons and accentuated shoulders. Unlike other blazers what's so great about the schoolboy type is how easily they transition from casual wear to business wear. I threw on some fun coloured pumps to break up an otherwise tonal look. Please tell me I'm not the only one who matches my lips to my shoes. Perfect fit aside, these blazers also take me back to my school years where I was stuck wearing a navy wool Ralph Laurenesque schoolboy blazer (more Harry Potter than Gossip Girl) everyday for the entire 6 years of my secondary education. At the time I couldn't wait to break free of my stuffy uniform. Who knew years later I'd still be wearing the same thing. This leads me to wonder.. will I still be wearing skinny jeans when I'm 80? I'm sure I'll be gaunt and sickly enough to pull them off a la Alexa Chung. Probably one of your best looks ever Jenee....classic, chic, and everything in between!!! And how cute are those shoes?? this look is fabulous on you!!!! the whole thing was looking so classic & chic and then you elevated the look with those to-die-for-pink-suede-heels!!!!! love love love. I love a blazer with jeans too. Perfect way to go a little bit dressy but still casual. Your shoes are dynamite! I love that kind og blazers they always put an outfit together. The shoes are amazing! lovely color! Those shoes are to die for! I always love how classic a blazer is, and navy is a great alternative to black! Blazers are such a closet staple. I love your navy version, and the ADORABLE bee pin. Such a great addition! Very casual look, and while not really into oxford pumps, those are SUPER chic! This blazer is very nice on you to compliment this otherwise casual outfit. Me too, me too!!! I am such a blazer girl, it's pretty much all I own. I just bought another this weekend (J Crew black cashmere, like I needed that) Anyway, I also grew up wearing a private catholic school long cardigan with white blouse and pleated skirt, which is why I favor them to this day, even though I hated wearing them growing up. (don't wear too many pleated skirts though these days). I love your thought about being Alexa Chung skinny when you're in your 80s, that is something to look forward to, although I hope I outgrow my love for skinnies sooner, haha! p.s. Love your lipcolor! Jenee, your shoes are so HAUTE! Omg'd they are gorgeous. Love style and color! Your lippy does match them. HAHAHAHA You are GOOD! I've always been a fan of blazers. I went to private Catholic school all my life. In high school we had to wear them! They always looked great on everyone and it created a very POLISHED look. It's a classic. I love the pin you added to yours. Those adornments are really cute! Great post and you look beautiful as always doll. Ha ha ha. I wonder that too Jenee, can I still wear skinny jeans and leather when I am 80? I actually love the matching lip and shoes. This look is so effortless chic to me. love it. I love lilac and navy together. Beautiful look. Beautiful blazer and brooch! Navy looks great on you. i love that blazer and those pink heels! this looks beautiful/adorable! i love the pin on the lapel! very nice touch! Gorgeous outfit; I love navy and hot pink together and this is the perfect combination. Also, in regards to my merkin post the other day, I think I first read about a merkin in some historical fiction novel a long time ago, and once the image was in my head I couldn't shake it. Now I see them everywhere. Obviously, lol. OMG you look amazing and you found the shoes!!! I need to order them now! ;) And I think that's its super awesome that you match your lipstick to your shoes- that's some serious dedication and I wish I could take the time to do that! my eyes are drawn to your brooch.. how chic! and pink goes with everything.. lips and heels and hey, maybe even nails? i love it!! Wow I love the blazer and the brooch (it's so cool)! And your shoes are amazing, I absolutely love the bright color :) now following. You look really really Stunning!!! Adorable!!! I seriously love this! I love how simple this outfit is: classic navy blazer, jeans, a tee, and some amazing shoes. PS, I am in love with that bee pin!! Big fan of blazers, they always pull any look together so nicely and huge fan of these fake out booties! I love blazers but school blazers are some of my favorites, navy is the best. Great great post! I love those shoes, and I love that you matched your lip color to them – so cute. You look lovely. Love the pop of magenta! I'm in loooove with this look!!! Love this simple look! I bought a navy blazer in the spring and will have to pair it with a white shirt and bright heels next time. I never thought about matching my lip color to my shoes! It looks great! Although, if I did my lips would either be black or brown... Looks like I need better shoes! My kind of outfit, a little in the tomboy side but...ta da! absolutely amazing and ultra feminine pumps ind tat shocking color! Perfect! What a fantastic outfit! that blazer is great and that pin.....oh gosh its lovely. Looking very good there! I too have been looking to buy a new blazer for myself. Might have to check out Zara soon! Love the brooch too. Oh wow, this look oozes casual chicness. Love the mix of a polished blazer with jeans! haha! I hope I'm still around when you're 80, so I can see you rocking skinnies!! I LOVE this look! Such a fan of blazers & your shoes are fab! Gorgeous, I love the navy on navy! great outfit. really like your blazer. That lovely blazer is such a good colour on you. And I LOVE your shoes. Love that you paired it with purple heels. Great blog, would you like to follow each other? I love this look! Your shoes are so gorgeous and so are you! 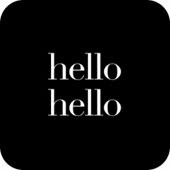 just found your blog through Hellocotton! I LOVE that blazer! Those shoes are gorgeous and I really love them paired with this chic outfit! I love this, Jenee!! You probably know by now that I'm obsessed with jackets. Love this outfit and those pink pumps really pops.